Last month The Tiree Beaver Scouts received £435 from the Windfall Fund to go towards a fun filled activity day in Hynish. The Beaver Scouts visit Hynish every year, allowing them to experience different activities outside their weekly sessions. As usual the day was filled with adventure! 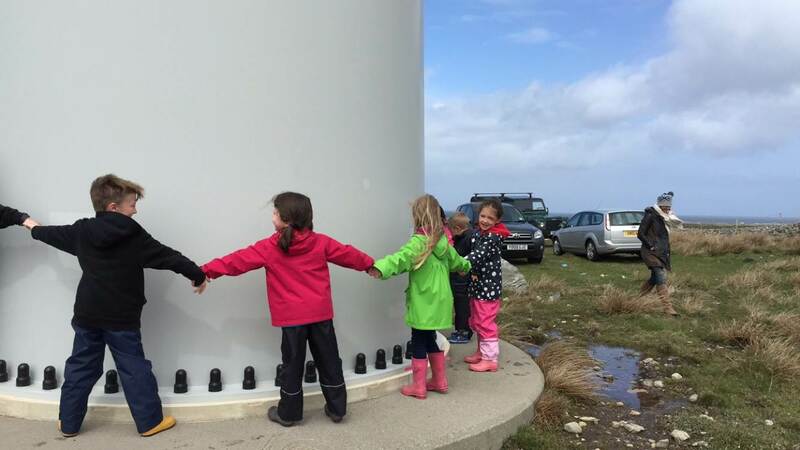 The group began the day by making their way up to Tilly, where they were shown inside the huge turbine! Next the Beavers began a hunt for a hidden pirate treasure, which after a great effort by all was found (and eaten!) The day ended on a high as the group searched for different kinds of shells on the beach after which they all received a new badge! The day was greatly enjoyed by all and everyone is looking forward to next year.